The Dutch anthropologist Geert Hofstede is recognized as a pioneer in the fields of international management and social psychology – and his work is a perfect example of the ways in which interpretative skills can help solve problems and provide the foundation for strong thinking and understanding both in business and beyond. Hofstede’s central achievement was setting up an efficient interpretative framework for understanding the cultural differences between one country and another. Working for the international computing company IBM in the late 1960s, Hofstede noted that such cultural differences had huge consequences for international organizations. Up until then, while many inside and outside of business recognized the importance of these differences, little had been done to define precisely what cultural difference was and in what areas of life it was expressed. 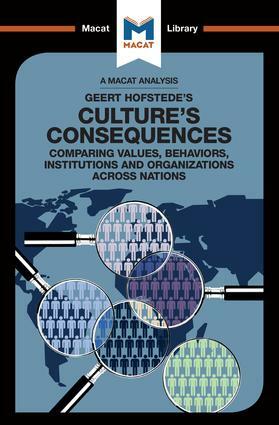 Hofstede’s insight was that if one could interpret and define the dimensions of cultural difference, it would be possible to measure them and act accordingly. From a vast survey of IBM’s employees in several countries, Hofstede originally defined five dimensions of culture: every society could be rated for each dimension, providing a useful guide to the kinds of cultural differences at play. As ever, good interpretative skills provided the basis for better understanding. Katherine Erdman is a visiting scholar in anthropology and archaeology at the University of Minnesota.